Hybrid environments often grow without a lot of planning, making it difficult to manage and govern the ever-growing data. Meanwhile, scalable platforms that can support big data, often present integration challenges. 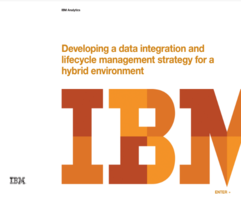 Download this white paper to learn at the nature of these challenges, and how to overcome them to enable people to make the critical decisions with the data they need while leveraging the benefits of hybrid cloud.